It's interesting to see where the benefits of chess training and brain health intersect and why. I don't find it surprising to note that practices described as benefiting the brain the most health-wise are also what should be most effective in terms of improving your chess. I've found the following observations particularly useful in that regard (my emphasis added in bold text). The Einstein Aging Study...followed 2000 people aged 70 and above who were residents of the Bronx district of New York City for four years. Every year these residents were put through a variety of tests to monitor changes in their physical strength, balance and coordination, along with a wide variety of cognitive abilities. As well as undergoing these tests images of their brains were captured with an MRI scanner. ...They found that four activities were associated with a significantly reduced likelihood of developing the symptoms of cognitive decline: playing a musical instrument, playing chess, dancing and reading all seemed to have a positive impact on slowing the rate of cognitive decline. It was noted that none of these activities made the slightest different to the outcome unless they were practiced regularly. ...all of the above activities are mentally taxing - the other defining feature of activities that actually inspire the brain to make changes. If you don't up the ante in terms of tackling more and more challenging versions of the same activity then the brain will stop making the necessary changes for further improvements. ...Chess requires potential moves of both players to be imagined and held in mind so that further moves can be thought through and evaluated. Opportunities and pitfalls of each potential sequence of moves must be analyzed to select the best strategy. 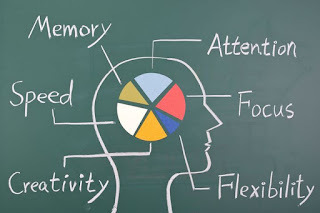 The more moves in advance a person tries to plan, the harder the brain areas in their Frontal and Parietal Lobes that support working memory...are pushed, to try to keep in mind where all the pieces would stand after each imagined move. The harder working memory is put to the test during the day, the more work will be done overnight to reinforce the synapses connecting Frontal and Parietal brain areas to increase its capacity for next time. The more you use your brain, the more you can continue using it. New learning creates new connections in the brain, but the absence of learning causes the brain to start disconnecting itself. 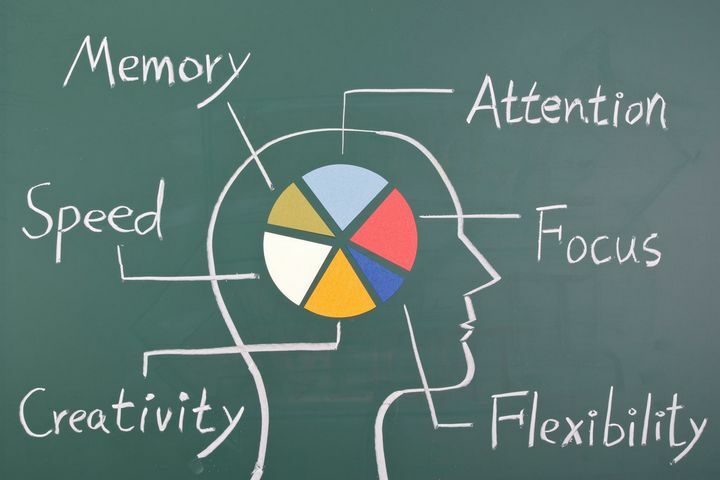 Regardless of your age, mental exercise has a global, positive effect on the brain. Learning has a very real impact on neurons: it keeps them firing and it makes it easier for them to fire...Like muscles that don't get used, idle nerve cells waste away. ...The best mental exercise is acquiring new knowledge and doing things that you have not done before. Even if your routine activities are fairly complicated, such as teaching a college course, reading brain scans, or fixing a crashed computer network, they won't help your brain specifically because they aren't new to you. Whenever the brain does something over and over, it learns how to do it using less and less energy. New learning, such as learning a new medical technique, a new hobby, or a new game, helps establish new connections, thus maintaining and improving the function of other less-often-used brain areas. New Learning Tips: Spend fifteen minutes a day learning something new. Einstein said that if anyone spends fifteen minutes a day learning something new, in a year he or she will be an expert; in five years, a national expert. The above points track with observations made in some previous posts here, for example on The Kung Fu of Chess and especially Mindfulness and Effortful Study. I also think that the observation about your brain using less energy to perform previously learned tasks could well be correlated with the power of pattern recognition, as reflected in Magnus Carlsen's comparison of the roles of intuition and analysis. Chess is not necessarily a uniquely beneficial activity. I do think that its inexhaustible depth of possible new learning, however, is tailor-made for benefiting your brain. Analyze a new opening variation, endgame type, strategic motif, tactical theme, etc. and you can get your 15 minutes a day (and more) of brain exercise, while adding to your skills and storehouse of knowledge. Brain health is a different topic than IQ and other measures of raw intelligence. There is a lot of disagreement about whether learning chess boosts intelligence. I think it's something of a moot point from a practical standpoint, if it can enhance your brain functions, regardless of the (also controversial) existence of an innate "ceiling" to intelligence. It's clear that binge studying followed by long layoffs won't help either your chess or your brain make progress over time. Consistency is more important, even with relatively short time periods devoted to training; chess is not unique in that respect. It's also noteworthy that this framework of structuring your activities parallels the practice of implanting positive habits. How far can you get in one month of training?